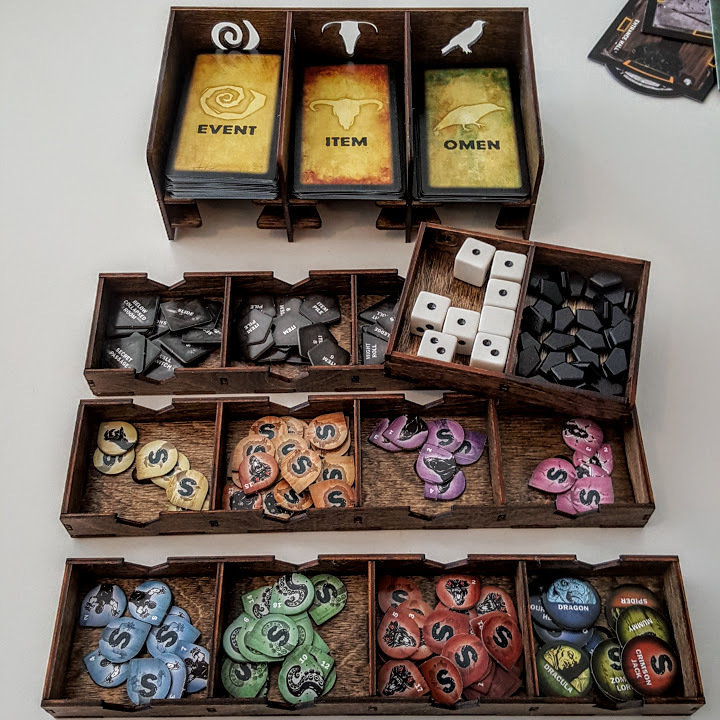 I recently picked up two board game organization kits from The Broken Token and have been very happy with them. I’ve been so happy that I wanted to show off some photos on Geektopia and write a review. These organizers are really useful, look amazing, and are easy to assemble. I highly recommend them to satisfy that mild case of OCD or just to be real fancy. 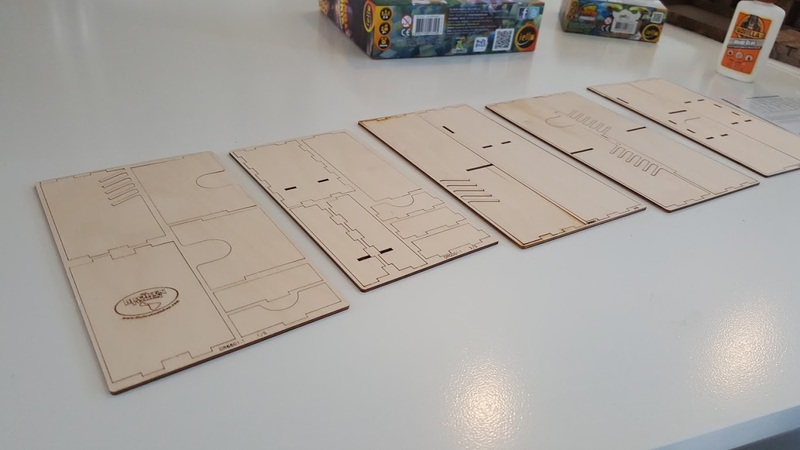 The two kits that I chose to start off with were for King of Tokyo and Betrayal at House on the Hill. Both are great games and ones that see a lot of play time. 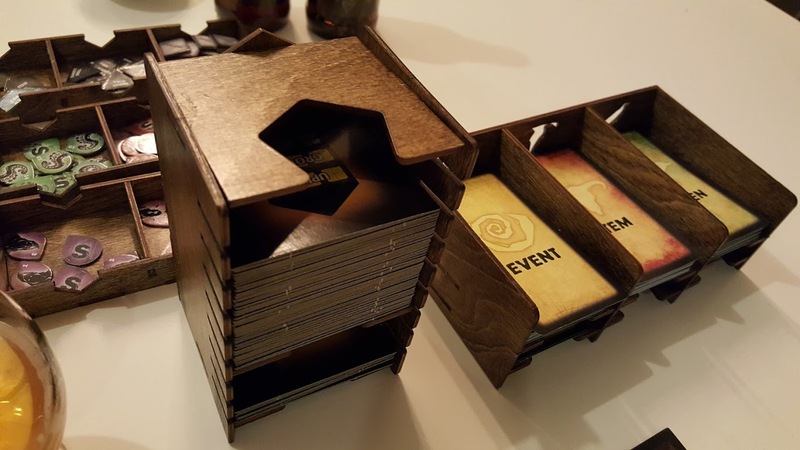 They also both have expansions stored in separate boxes so I thought that these games would be an obvious choice for an organizer. 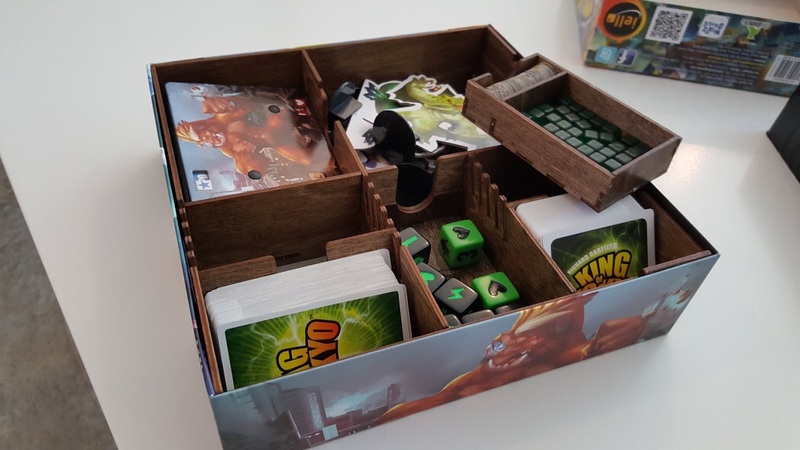 The King of Tokyo organizer stays in the box and basically replaces the plastic insert, therefore providing more room in the box to fit Power Up, Cthulhu, or other expansions. It has nifty compartments to hold everything. It’s pretty great. 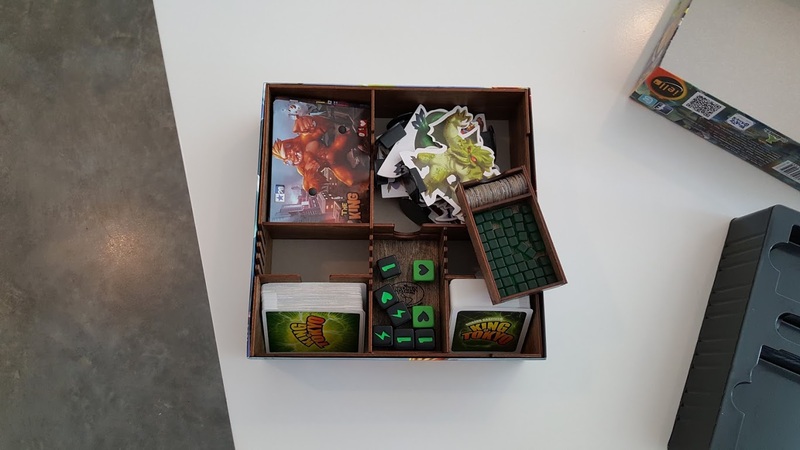 Since the King of Tokyo organizer stays in the box, you don’t really need to stain it if you don’t want. I already had a can of stain and just went ahead and did it. Stain is totally optional and the wood looks fantastic regardless. This is totally optional but if you are going to stain them. That’s definitely step one. Pick whatever color you want and feel free to get creative. 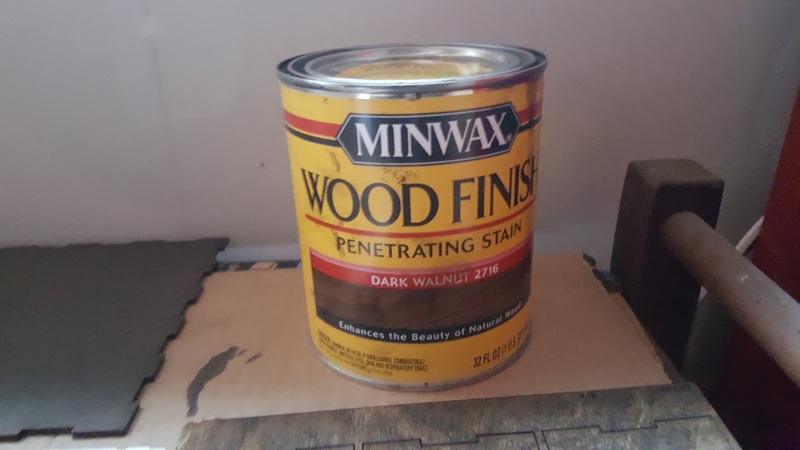 I chose dark walnut to match the hardwood floors throughout the creepy mansion on the hill. 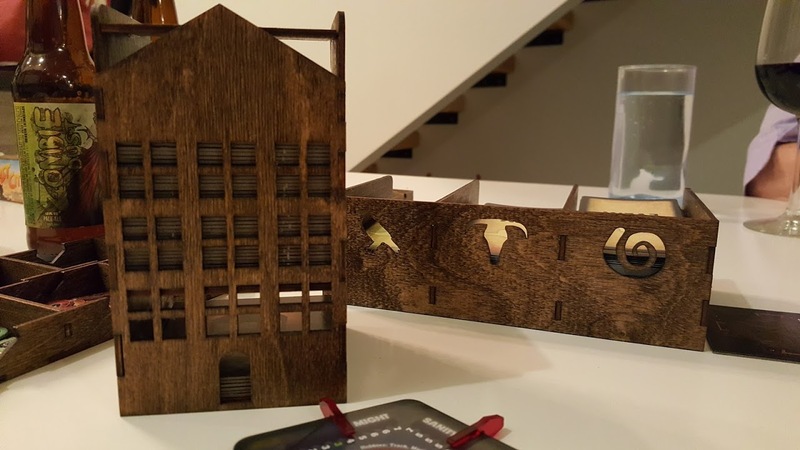 The dark walnut matches the Betrayal game perfectly. The pieces are easy to remove. You just kind of rotate and twist and wiggle them free. You can use a hobby knife to shave off any wood that didn’t break off cleanly. I only had to do that a couple times. 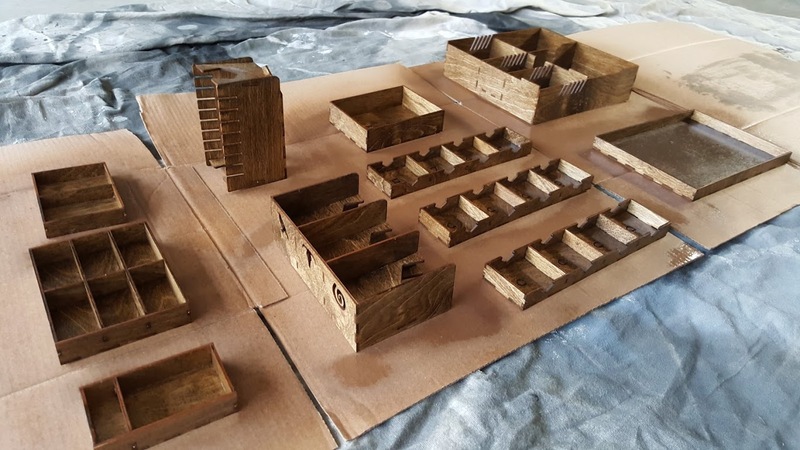 Glue is somewhat optional as the pieces fit snug into one another. I glued everything though just to be safe. 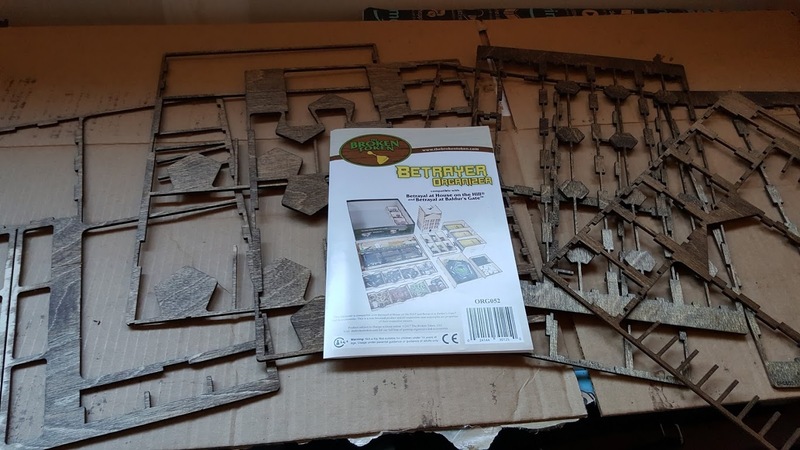 It might not matter on the King of Tokyo set since that stays in the box but the Betrayal organizer is one that will be handled a lot so its best to use some wood glue. 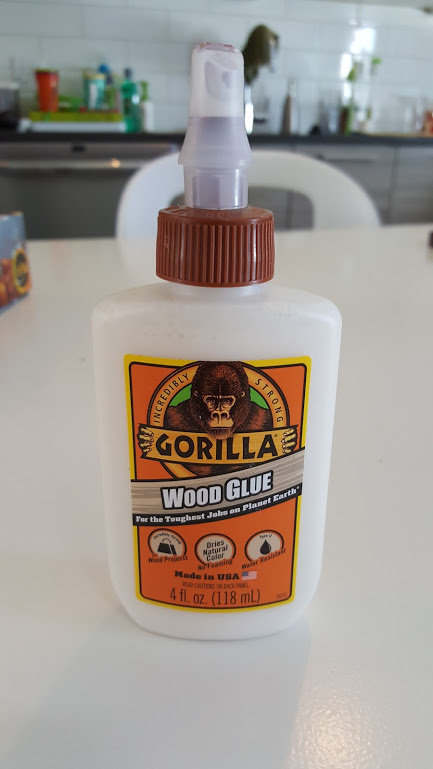 Make sure to use wood glue. Follow the instructions provided. A few times I almost glued the wrong pieces together. and a more than once I actually did. Luckily the glue hadnt dried yet and I caught the mistake in time. Just be careful and go slow. 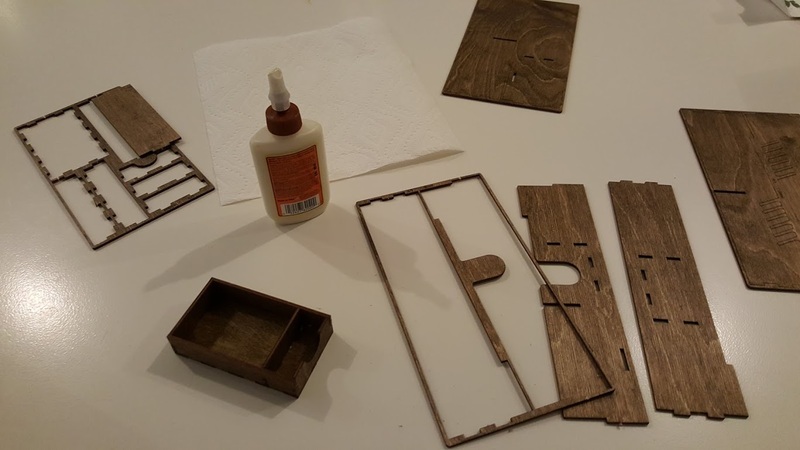 Lastly, if you stained it, make sure to apply a varnish. I used a clear semi gloss spray. 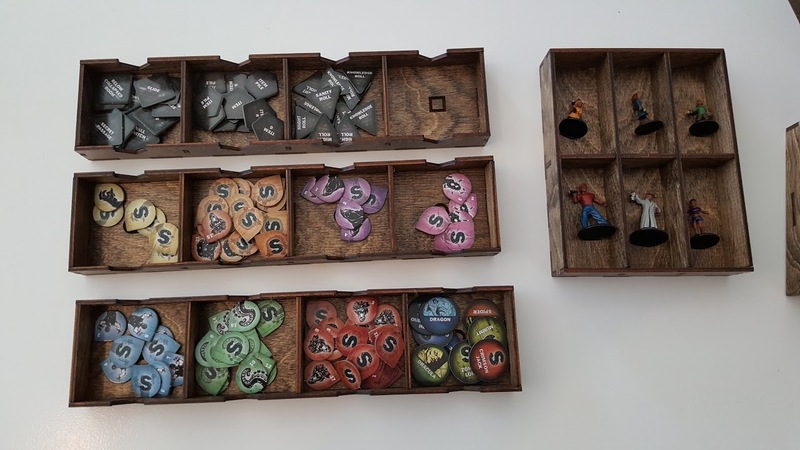 Now its time to put all the tokens and game pieces into your organizer and go enjoy! 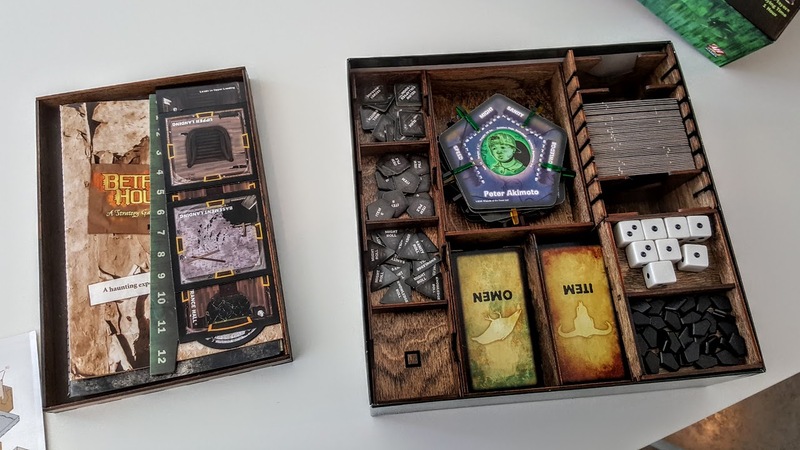 The Betrayal organizer has a house shaped holder for the tiles. 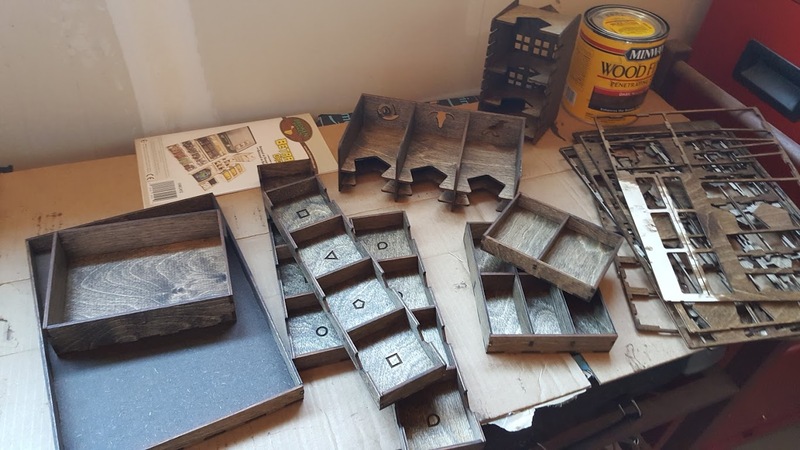 It makes grabbing them easy and has a place to put discarded tiles. 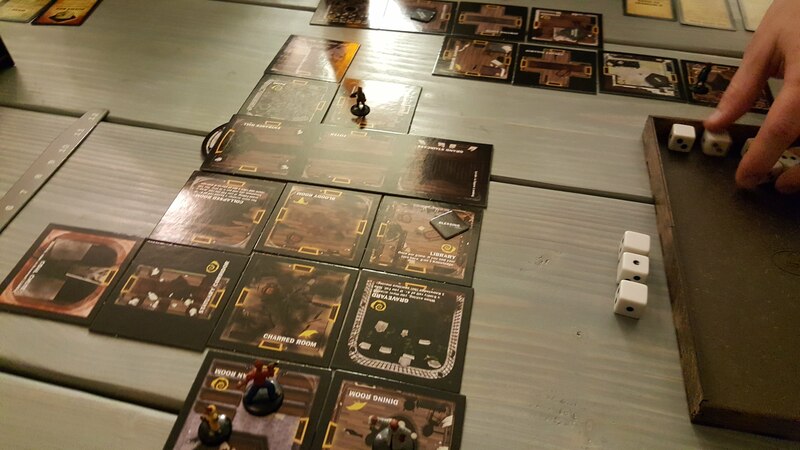 As you may know, in Betrayal at House on the Hill, you are often pulling and discarding tiles until you find the correct floor you are on. 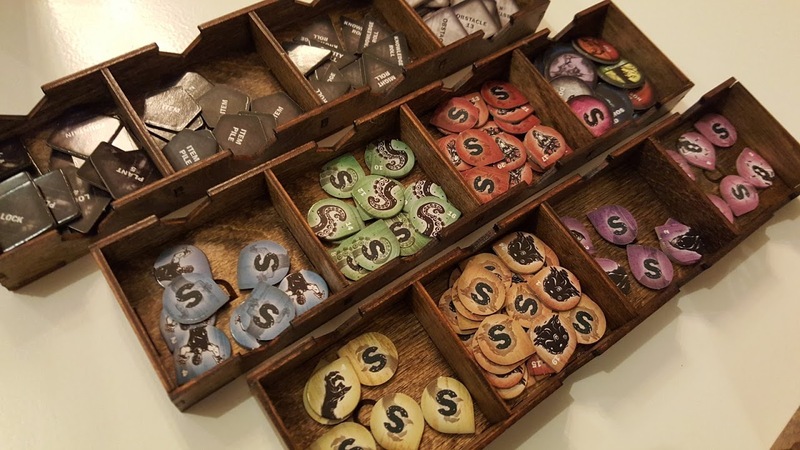 Betrayal also comes with a ton of tokens, and depending on the scenario, most of which you don’t even use. 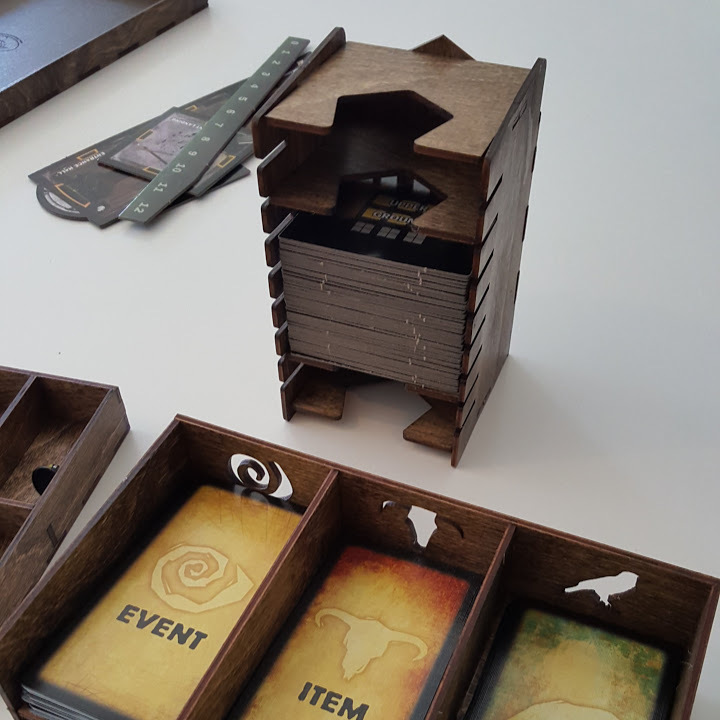 Since the game has 50 different scenarios (100 with the Widows Walk expansion), it has a lot of tokens that you may or may not need. This keeps them handy and eliminates searching through piles of tokens until you find the one you needed. The card holders are kind of a luxury but I like them. They have a discard slot underneath the draw pile. And it all fits in the box! It’s a pretty perfect use of space if you ask me. You can really cram a lot of stuff in there. 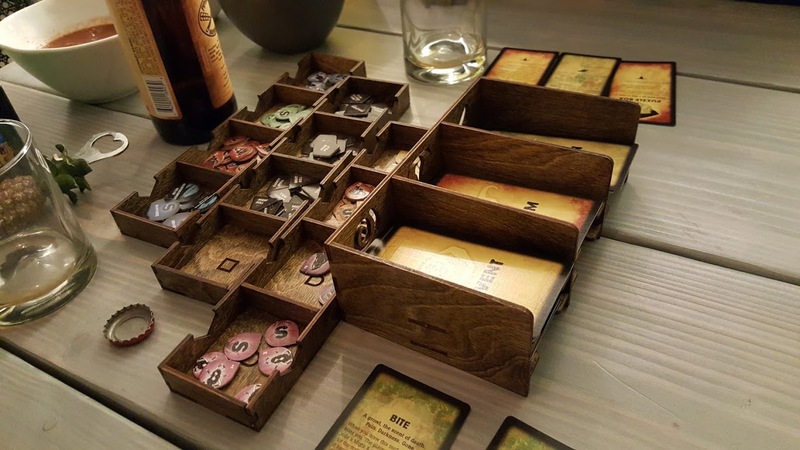 Tip: I use the tray that holds the rule books, traitors tomb, and other odds and ends as a dice tray. I just take everything out of it and Vwa-la! 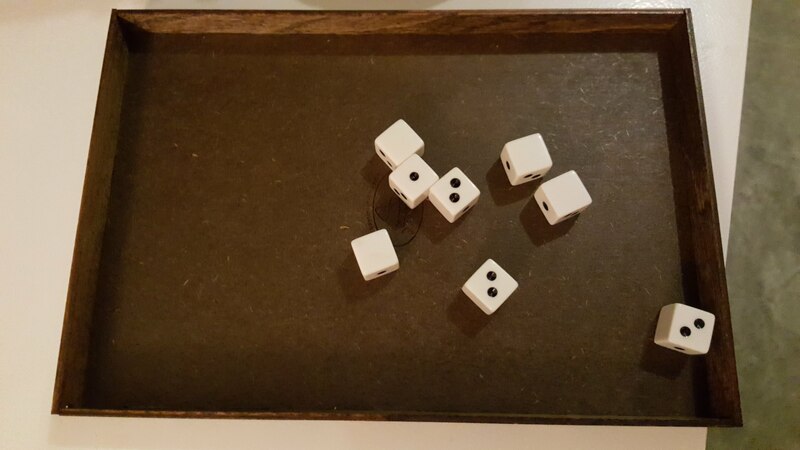 a dice tray! These are very useful and are an effective way to enhance your gaming experience. Check them out for yourself. Yee-haw, I reckon it’s time for a review of: BANG!